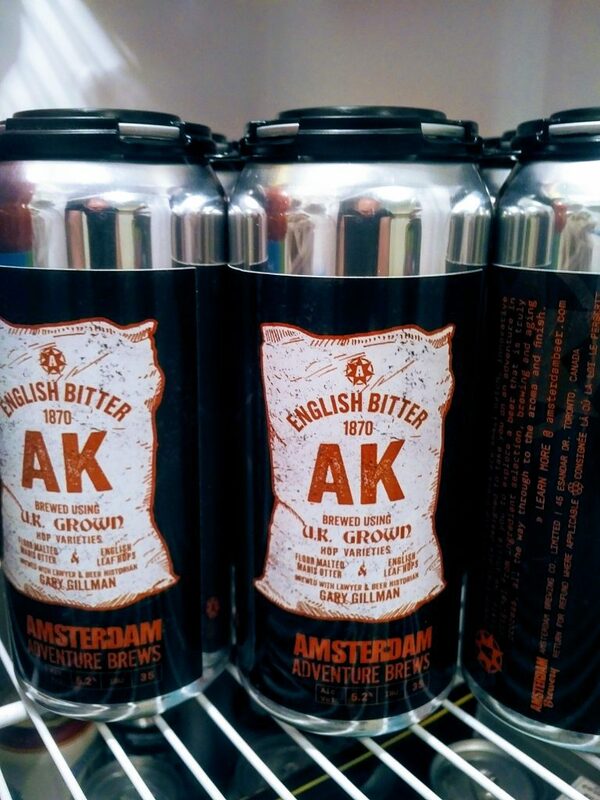 I’m pleased to confirm that Toronto craft brewing pioneer Amsterdam Brewery will again brew, in collaboration with us, 1870 AK Bitter as a limited edition. It is a medium-gravity pale ale and based on an 1870 English recipe I identified some years ago. This is the second brewing, I described the first last year in a series of posts. This post summarized the effort and referenced other posts with technical details and my impressions of brewing day. To keep things interesting we are changing it up this year: instead of Maris Otter floor malt we will use Chevallier, a historical variety I discussed in this post last year. My point there was, Chevallier is certainly a valid choice for any such project as it existed in 1870 and indeed was widely used. Still, one cannot go wrong with Chevallier, and had we used it last year, likely this year we would use Maris Otter, if only to detect any contrast. As it turned out, for the second brewing it will be the other way around. For hops, we are using only one variety, English leaf Golding, vs. two last year. They will go in mostly at the outset of the boil, which some Burton practice approved, with some in the whirlpool stage too. Hops were added at different times during the boil in the past, as today. There was no iron rule but adding much of the load at the front end hopefully will impart maximum bitterness particularly as we intend to boil for two hours, as against one last year. 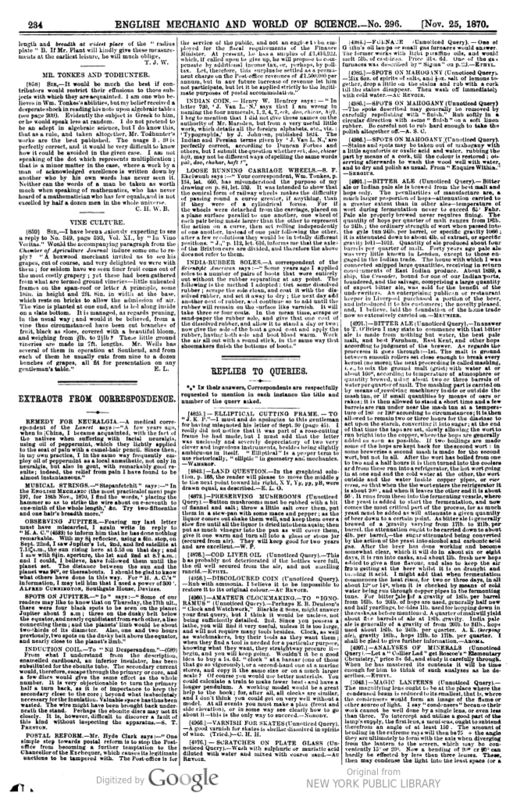 Bitterness was a prime object of the old beers, the idea being to maximize preservative character. Without today’s pasteurization and/or extensive refrigeration, unless consumed quickly beer would sour, not a desirable outcome for pale ale historically. The hop resins imparted by a long boil tended to enhance preservation – hence after all the name “bitter”. The beer will be chilled and kegged for draft with some dry-hopped for cask (real ale) service. And some will be canned, as last year. We are using, as well, an English yeast this year, vs. American ale yeast last time. In other respects we will follow the 1870 recipe again including for the hop charge, so three-four lbs/bbl by our estimate. Gravities will be about the same as last year. The higher gravity I.P.A. version also discussed by Aroma is a possibility for next year. It’s exciting to be able to work again with Iain McOustra, Cody Noland, and the other brewers at Amsterdam. They are pros all the way and no matter how much one has read, written, and tasted, the pros who do it every day understand brewing like no other. I’ve learned more than I could possibly have hoped to impart, but appreciate Amsterdam’s positive reaction to the first brewing, to the point of doing a Mark II. Amsterdam’s commitment to brewing heritage deserves the admiration and support of all who care about the art of brewing, its lengthy and honourable history, and no less shining future. The pseudonymous brewer “Aroma”, who wrote the 1870 directions, is smiling from the empyrean vastness. Despite all the changes in materials, technologies, and whatnot he gets what we are doing. He is one with us and our contemporaries who love the beer palate – for whom it is, in sum, part of gastronomy.